A new study says the United States has the highest lifetime rate of bipolar disorder at 4.4%, and India the lowest, with 0.1%. (Health.com) -- About 2.4% of people around the world have had a diagnosis of bipolar disorder at some point in their lifetime, according to the first comprehensive international figures on the topic. The United States has the highest lifetime rate of bipolar disorder at 4.4%, and India the lowest, with 0.1%. Bipolar disorder is characterized by cycles of depression and mania, a euphoric, high-energy state that can result in heightened levels of creativity or output as well as erratic or risky behavior. People with bipolar disorder are at high risk of substance abuse and suicide, and treatment includes psychiatric care and medication. However, fewer than half of people with the disorder were treated by a mental health professional, and only a quarter of those in lower-income countries sought treatment, according to the 11-nation study in the March issue of Archives of General Psychiatry. "It's very important that we understand the scope and magnitude of this disorder so that we can plan appropriate treatments, facilitate recognition of diseases, and identify people at risk so we can bring them into treatment," says the study's lead author, Kathleen Merikangas, Ph.D., chief of the genetic epidemiology research branch at the National Institute of Mental Health in Bethesda, Maryland. The U.S. ranked higher in every category of bipolar disorder as did, in general, other high-income countries. One exception was Japan, which had a lifetime prevalence of 0.7%. Colombia, a lower-income nation, also bucked the trend with a relatively high prevalence of 2.6%. 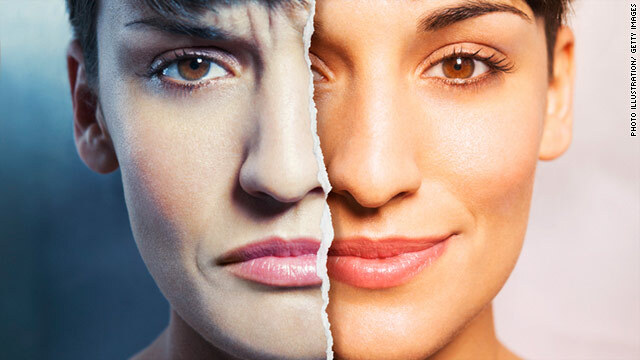 The study included people with either bipolar I or II. Bipolar I has the more severe symptoms (both depression and mania) and bipolar II has less severe symptoms. Despite the regional variations, there were many similarities across the countries studied, including comparable symptoms and the fact that many people with bipolar disorder also had another mental health problem, usually an anxiety disorder (most often panic attacks). No matter where people lived, bipolar disorder caused serious problems and impairment. About three-quarters of people with depression and half of those with mania said their symptoms disrupted their work or social life and relationships. But why the higher overall prevalence rate in the U.S.? There are several possible reasons, say experts. "It could be genetics; it could be environment. It also could be the way individuals in different cultures are willing to respond to this kind of an inquiry," says Sara Bodner, M.D., an assistant professor of psychiatry at the University of Miami Miller School of Medicine. "Cultural awareness plays a very big role in psychiatry. Some cultures have a huge reluctance to speak about psychiatric things." In the U.S., people with bipolar symptoms may be more likely to be diagnosed with the condition. "We're pretty aware of [bipolar disorder]," Merikangas says. Awareness dovetails closely with stigma. With lower awareness in lower-income nations comes higher levels of stigma. That means fewer people may be willing to talk about or get treatment for symptoms, which can lead to lower perceived rates of bipolar disorder. "Rates of bipolar disorder were lower in countries with more stigma," Merikangas says. But poorer countries may also have some protection against bipolar disorder that the U.S. lacks, such as traditional social structures that are still relatively intact. "We have less buffers in terms of social networks, in terms of having strong family backgrounds," says Merikangas. "We're much more mobile here." There has also been some speculation that the U.S.'s immigrant "melting pot" composition might contribute to the prevalence, says David Schlager, M.D., an assistant professor of psychiatry and behavioral science at the Texas A&M Health Science Center College of Medicine in Round Rock and a psychiatrist with Lone Star Circle of Care. "The U.S. attracts people who believe they can achieve a better life," Schlager says. "They come to believe they can pick up and start again. It's a self-selected sample of people who are grandiose and impulsive. It takes a certain suspension of belief to actually believe you can come here and make it happen. Those are a significant percentage of people on the bipolar spectrum." The new study is important because cross-national comparisons of bipolar disorder have generally been difficult to conduct because various countries define bipolar disorder in slightly different ways. These researchers circumvented that problem by having trained interviewers use the same criteria (from the fourth edition of The Diagnostic and Statistical Manual of Mental Disorders, the gold standard for psychiatry) to diagnose the disorder in face-to-face interviews with 61,392 people in 11 countries. Of the entire population studied, 0.6% of people had bipolar I, 0.4% bipolar II, and 1.4% qualified for "subthreshold" bipolar, which would exhibit the least severe symptoms. For something called "bipolar spectrum" (meaning all the categories taken together, including those with mild enough symptoms they may hardly be noticeable to other people), the overall prevalence was 2.4% over a lifetime. When viewed over the past 12 months, the figures were 0.4% for bipolar I, 0.3% for bipolar II, 0.8% for subthreshold bipolar, and 1.5% for the spectrum. The study was conducted by researchers around the world and funded by grants from the National Institute of Mental Health, the John D. and Catherine T. MacArthur Foundation, the Pfizer Foundation, and a variety of other pharmaceutical companies and public health organizations.